As a pioneering food tech company, Micvac contributes to a more sustainable society through their innovative system for healthy and environmentally conscious meals. 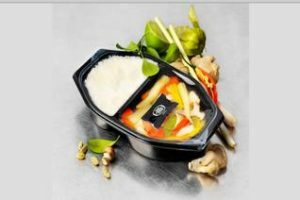 The company has developed a chilled ready-meal system that utilises in-pack cooking and pasteurisation in one continuous process. 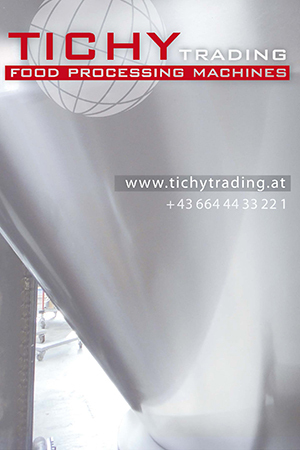 Key to this process are the Micvac microwave tunnel as well as Micvac’s patented packaging components: the Micvac valve, tray and specially designed film. This system enables delicious chilled ready meals to be produced that reduce food waste and have high levels of food safety, greater cost efficiency and significant energy savings all along the value chain. Delicious ready meals easily prepared within minutes due to the patented Micvac valve. 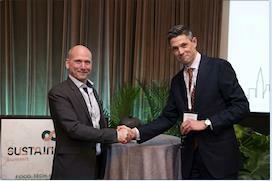 “In recognition of Micvac’s food packaging method.”, says Andreas Marcetic, Partner, Deloitte AB. “Micvac has created a great contribution to decreasing the amount of synthetic preservatives being used in ready meals, as well as prolonging their shelf life, leading to a healthier and more sustainable environment.” The Micvac method enables shelf life of up to sixty days without preservatives, compared to the typical five-day shelf life for other chilled ready meals. This extended shelf life reduces spoilage in stores and at home while at the same time keeping food fresh and tasty. Furthermore, the method itself is very energy efficient. Less precooking and less cooking of food in automatic cookers or large-scale industrial appliances leads to savings in energy and resources. Moreover, Micvac packages are extremely compact which in turn leads to energy savings during transport. With their Sustainology programme the Swedish-American Chamber of Commerce, New York strives to bring attention to one of the most pressing issues of our time: sustainability in the food chain. By providing an arena for industry leaders, investors and innovators to create new partnerships in the food tech realm and awarding an especially forward-thinking company, they hope to encourage sustainable solutions to come to life.